I love God things, don’t you? 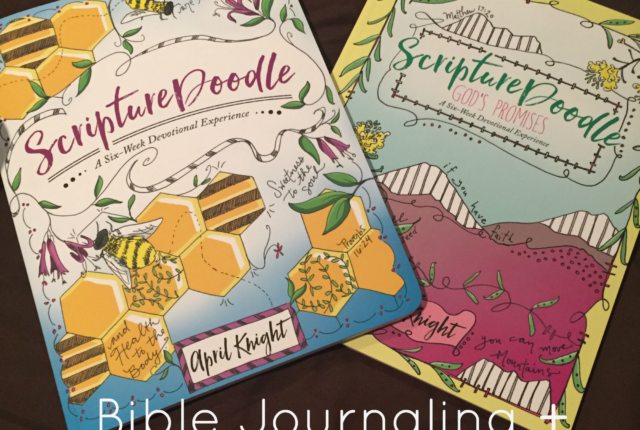 Recently, I had the opportunity to review The 7 Minute Life™ Daily Planner through the Schoolhouse Review Crew. I have to admit, I was kind of “meh” about. I had a planner I loved. It’s been replaced. 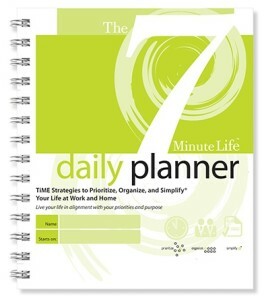 The 7 Minute Life™ Daily Planner is a 90-day spiral bound planner created by Allyson Lewis of The 7 Minute Life. Studies have shown that adults have short attention spans; maybe even as low as 7 minutes! The idea is that in 7 minutes of planning a day, you can do the most important things and stop JUST doing the urgent. Set up in 90-day increments because 90 days is enough to see progress and to reassess if things aren’t working. Coming from a sales background, this planner has several features toward sales goals including contacts, thank you notes, voicemails, and 7 Minute Life Connections. It also has a notes section, sleep, exercise & water tracker, appointment section and more. Each 270+ page planner is $24.95. So. I am a productivity & planner junky. 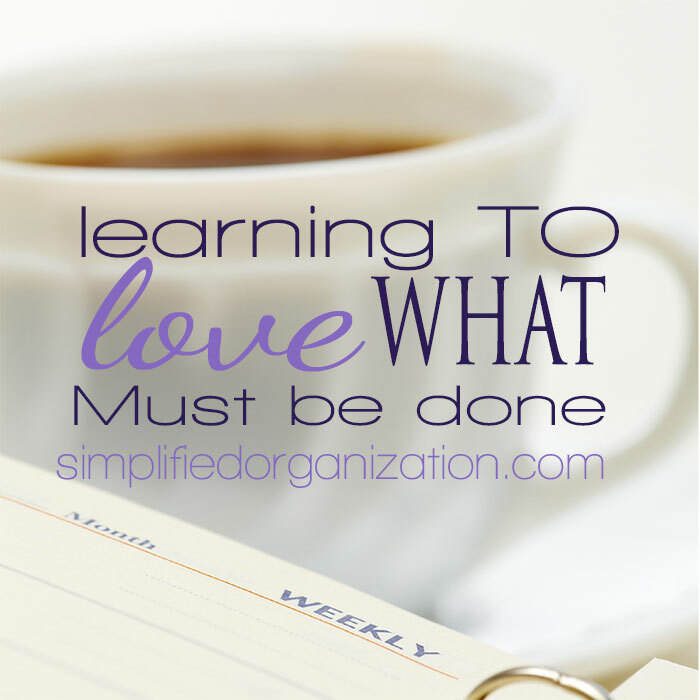 I have used GTD, Franklin-Covey and dozens of others over the past 15 years. Honestly, I wasn’t even looking for a new planner because I had one I loved. I love this one more. 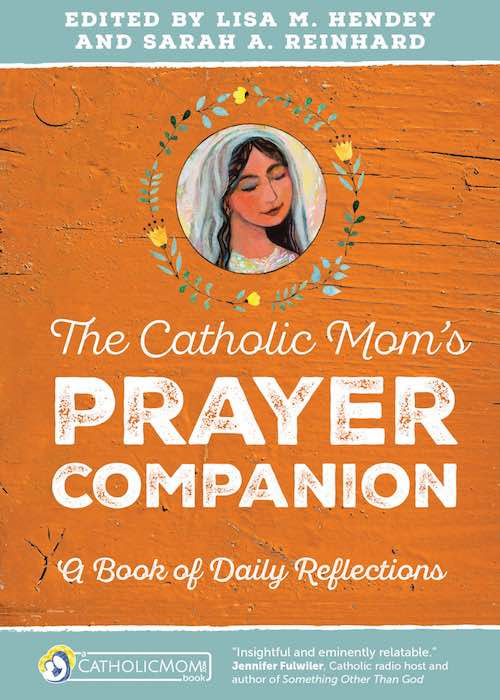 Before I could use it, I had to spend a few days thinking about the big picture. Really, it was overdue for an update; I last did it a few months before my 15 month old was born. She went about it slightly differently with values/character traits as your first step. It was an exercise I had not done before. After that it was mission statement time, which I also reworked a bit. I got a little stuck on goal-setting but after thinking on it for a week or so, I realized I had more 90-day goals than I thought. 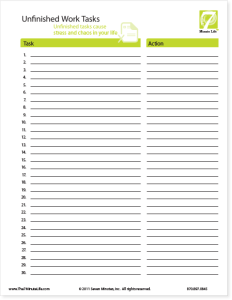 I used The 7 Minute Life™ Daily Planner to track all aspects of my life–home management, work, writing and the teaching portion of homeschooling. I loved that all my hats were in one planner instead of 4. The most life changing part was the 5 before 11. In my case it was usually 5 before 5, but my kids are 6, 3.9 & 1. Sometimes there are other issues, you know? But I know the difference between lazy and otherwise occupied. There is a “did I do what I said I would do” checkbox. Even though everyday was a no, I’m still closer than I would have been because I did several important things. I still haven’t FULLY adapted it to suit my needs yet, but I spent my entire 10-day vacation pondering it in the downtime. 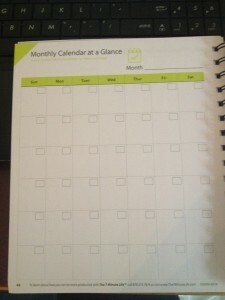 The beginning has 12 months of smaller calendars (3 to a page) for long-term planning. I used that to note important things like trips, classes, etc. that need to be planned around. 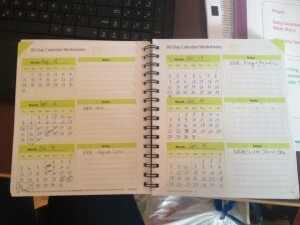 Then it has 12 months of larger calendars, 1 per page. This annoyed me at first. Who needs 2 sets of too small calendars in one book? Then I figured it out. The first is long-term planning. The second set would be great for a blogging editorial calendar. The appointments, 5 before 11, voicemail, spending record, and daily summary were no brainer and used as you would expect. I used unfinished tasks for less important to-do’s like errands. The other feature I adored were the two big unfinished work tasks & unfinished home tasks (4 & 2 pages, respectively). I loved parking projects there for the 90-day period, to revisit later. Like the goals, I didn’t fully understand the value until a week or two into use. I had work projects, writing projects, and blogging & reviews quickly filling my work tasks and completing random things filling my home in completed tasks. 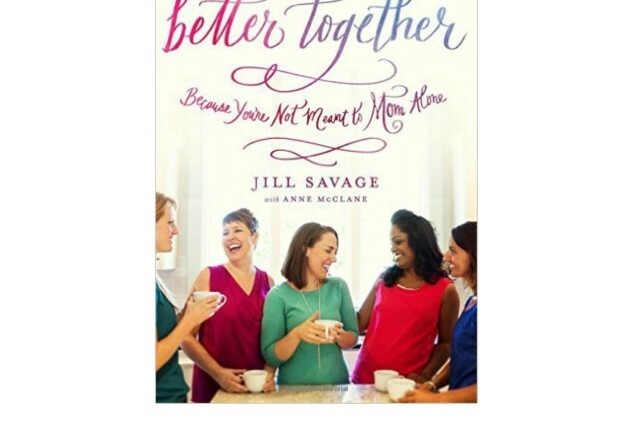 As an introvert, I love the 7 Minute Life Connections because I truly need to be that intentional about adult interaction. I’m one of those people who has no “best friend(s).” I’m still trying to determine what I should do with the Contacts section since I don’t sell. 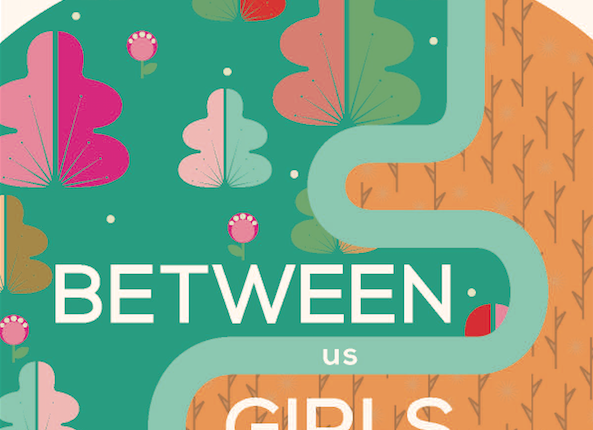 I honestly can’t wait to stalk everyone else’s reviews to see how they have tweaked theirs :)! Overall, I thought the principles and habits in The 7 Minute Life™ Daily Planner were excellent ones and I’m really glad that I was picked for this review. I like that the pages are undated and so I don’t feel like I’ve wasted 1/3 of a book while on vacation. I love the short term (90-day) goals. I like that it really focuses on people and the really important things and not just tasks. I love the task pages and the whole idea. I end the day feeling like I’ve done some really important things, even if I only get 2 or 3 of the 5 accomplished. It’s a great way to focus with my very limited time. I’m looking forward to tweaking it a bit more and want to look into their big fancy package with the books, binder, cd’s, more planners, etc. I have a few other learning things I’m finishing up right now and I’m trying to divert funds to feed the travel bug. But it’s on the short list! 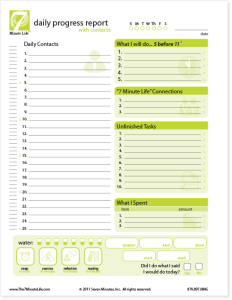 Overall, if you are doing any sort of work at home, The 7 Minute Life™ Daily Planner is fabulous. If you “only” manage a home and/or homeschool it might be a bit overkill unless you are a type-A planner addict like me :). But if you run a business too, whether that’s freelance work, etsy or blogging, the 7 Minute Life Daily Planner can help keep you balanced & focused. Hubby read through the beginning planning pages and thought it was all good stuff but he needed an app; he will never use a paper planner. Hint hint :). You can check out sample pages here and videos about how to use each section of The 7 Minute Daily Life Planner here. 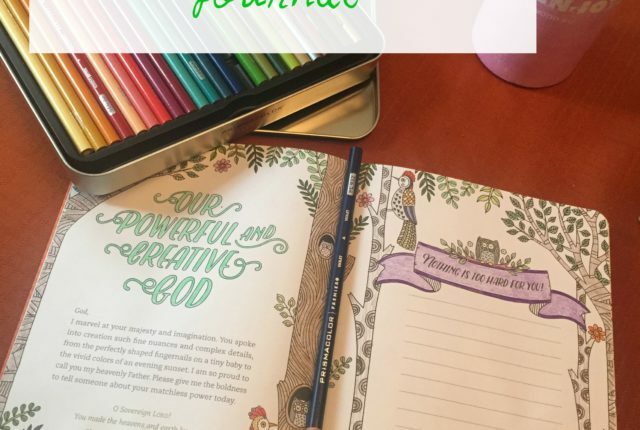 Click here to read what other members of the Schoolhouse Review Crew thought of The 7 Minute Life(TM) Daily Planner!